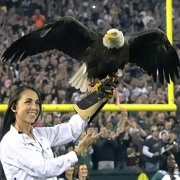 If you haven’t been keeping a close eye on the American Eagle Foundation’s activities for a while, you have probably missed some important news! 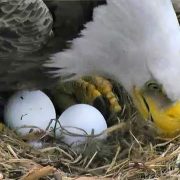 What are some of the best eagle cams available on the internet? 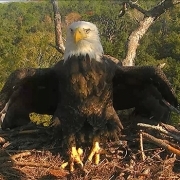 * The Northeast Florida Nest Cam; *The Smoky Mountain Eagle Cam; * The Berry College Eagle Cam; *The DC Eagle Cam; & *The Dollywood Nest Eagle Cam. 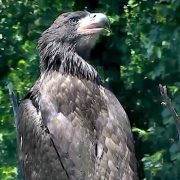 From the moment s/he hatched on May 3, 2018 through every stage of development, Valor was a perfect young eaglet. Safe and secure in the nest atop a Tulip Poplar tree, we saw only a clear road ahead and an eventual successful fledge. 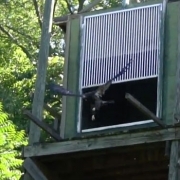 Sequoyah was out the door before the gate was fully lifted; made a gorgeous, spectacular flight, and landed perfectly in a tree! 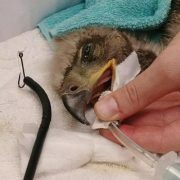 On Thursday morning, June 28th, the non-profit American Eagle Foundation (AEF) will release Three 12-week-old Bald Eaglets into the wild to honor local first responders for Pigeon Forge, Sevierville, and Gatlinburg. 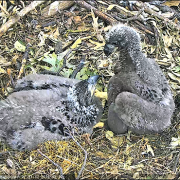 DC6 & DC7 have their forever names! 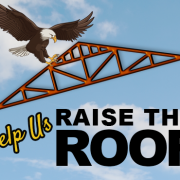 Please consider a donation to help replace the roof of our Hack Tower on Douglas Lake! 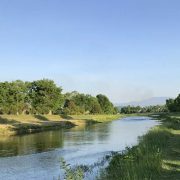 Little Pigeon River Cleanup Scheduled for June 15th! 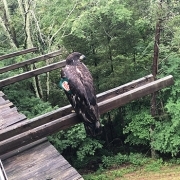 Keep Sevier Beautiful (KSB) and the American Eagle Foundation (AEF) are determined to clean up not just the waterways of Sevierville, TN, but also the surrounding ecosystem to help ensure the health and longevity of the animals that depend on this area as their source for food. 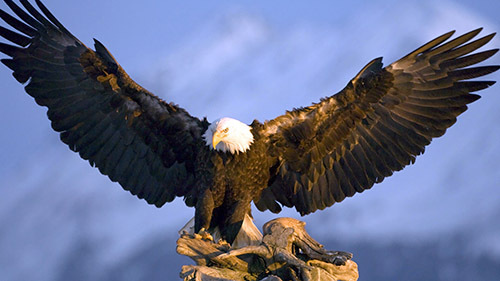 Keep Sevier Beautiful partners with American Eagle Foundation to clean up Little Pigeon River June 15, 2018. 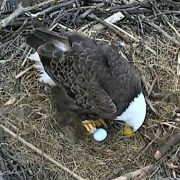 A fish was brought to the nest by one of the parent eagles that had spinner bait with a hook and braided line attached to it. 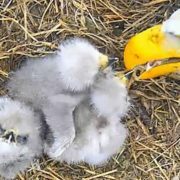 One of the eaglets swallowed the hook. 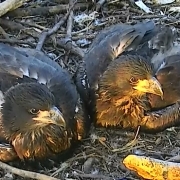 The eaglets are the 14th, 15th, & 16th hatched from eggs laid by Lady Independence & Sir Hatcher I & Sir Hatcher II. 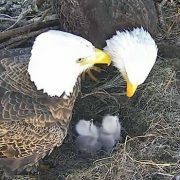 Bald Eagles Mr. President and The First Lady have welcomed their second egg of 2018 into their National Arboretum nest in Washington, DC. It’s long. It’s wonderful! Grab a soda or a cup of coffee, find a cozy place, and enjoy the season again through the eyes of our wonderful NEFL Volunteers!